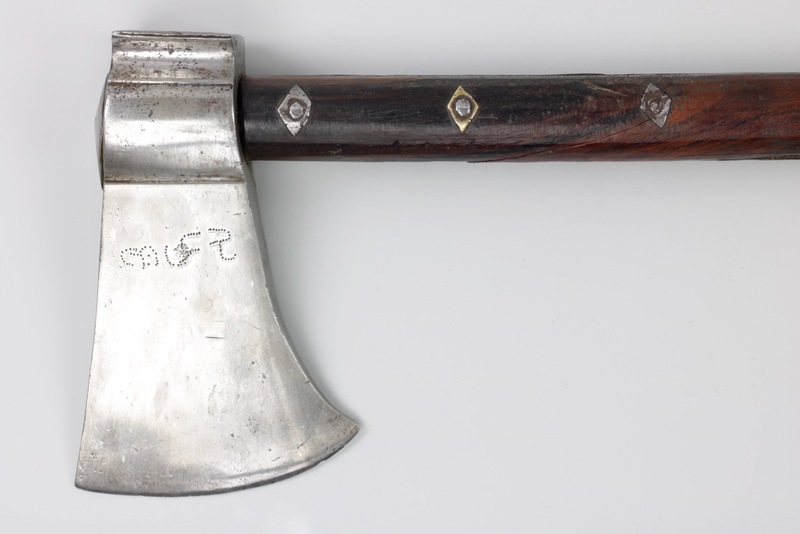 This type of axe was part of the standard equipment of the mounted North Indian warrior of the 17th and 18th centuries. 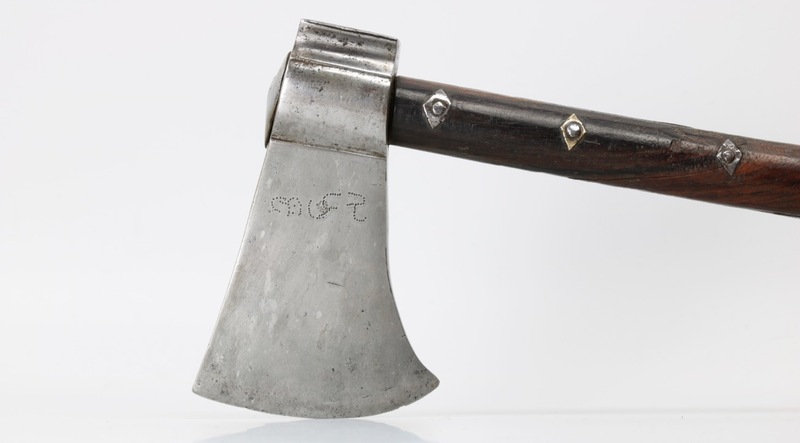 They were known as tabarzīn , a loan word from the Persian language that literally means "saddle axe", a word that was a loan word from Persian. Located in Junagarh Fort in the city of Bikaneēr, Rajasthan, the Bikanēr armory held the weapons of the maharajas of Bikanēr. 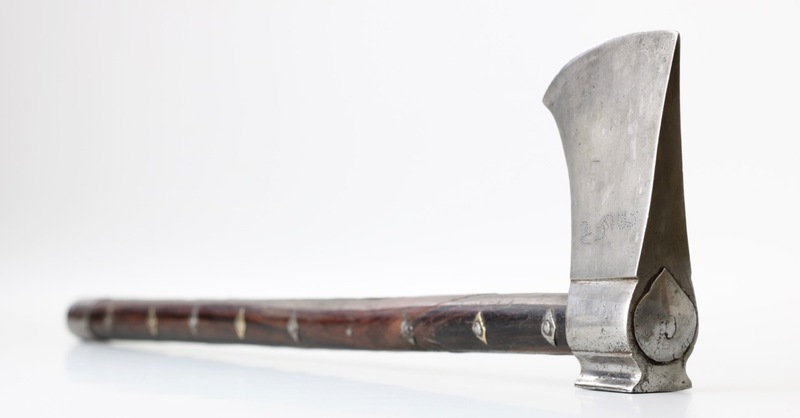 Part of the armory was sold in the 1980's and 1990's to a number of UK antique dealers, and pieces have been circulating in the antique arms scene since. 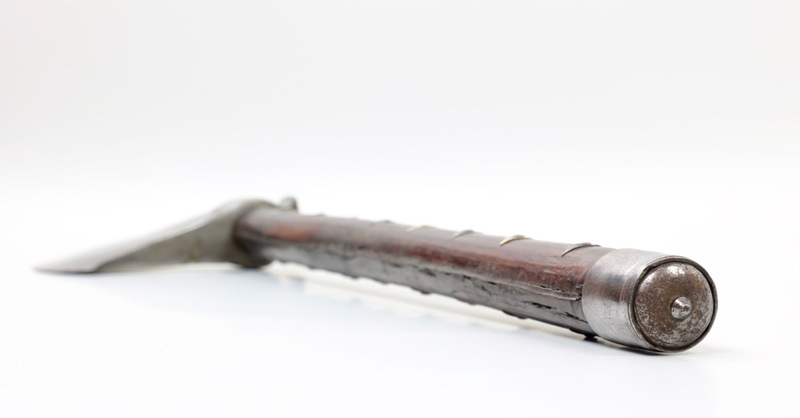 The armory did not only hold local weapons, but also weapons taken as booty after campaigns from places like Bijapur, Golconda, Adoni, and others. 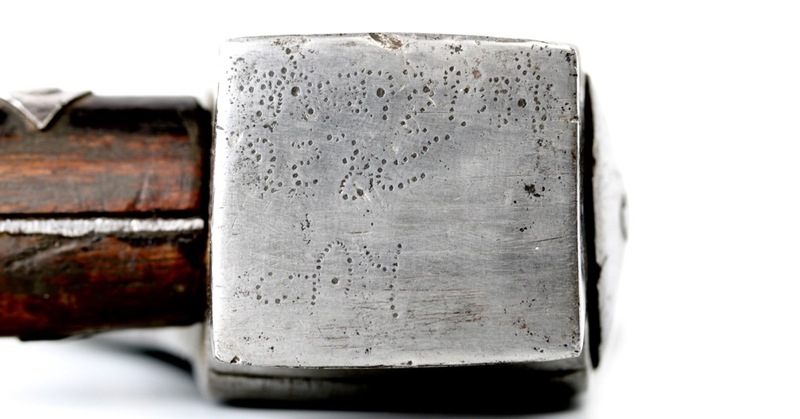 Weapons from this armory can be identified by their characteristic punch-dot markings. Dating: 17th or 18th century. 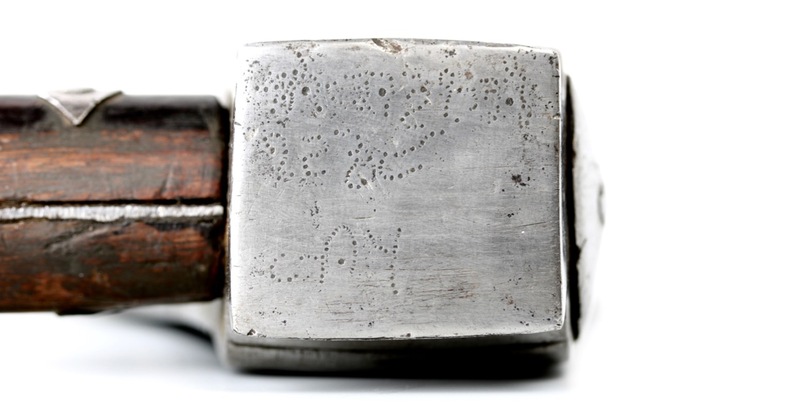 Provenance: From the Bikanēr Armory, Rajasthan, India. 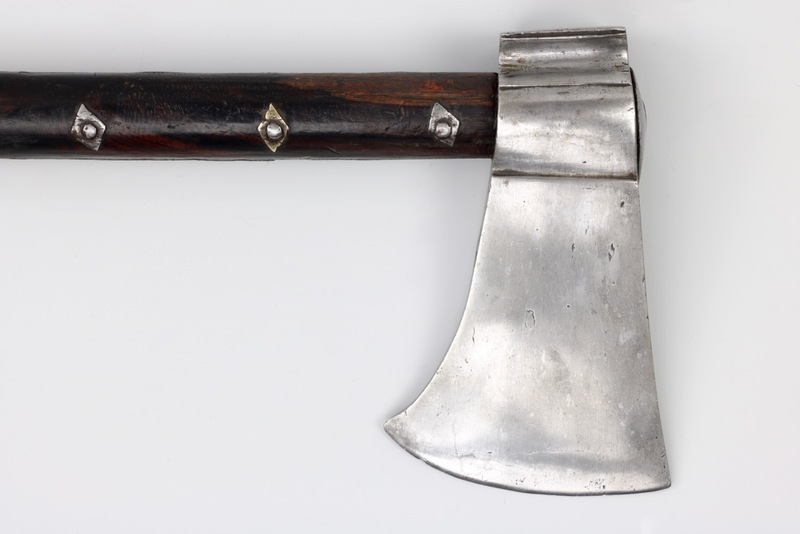 A nice example of a practical war axe. 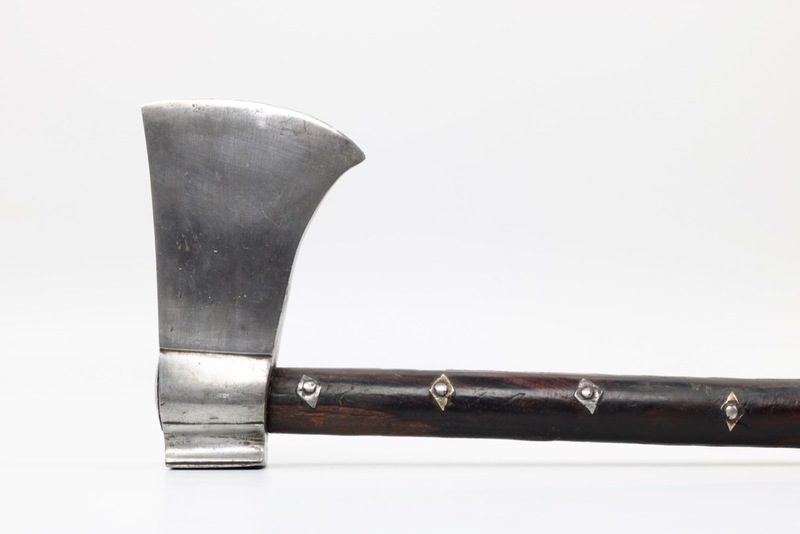 It has a heavy, strongly wedge-shaped head with radiused edge on the front and a flat hammer on the back. 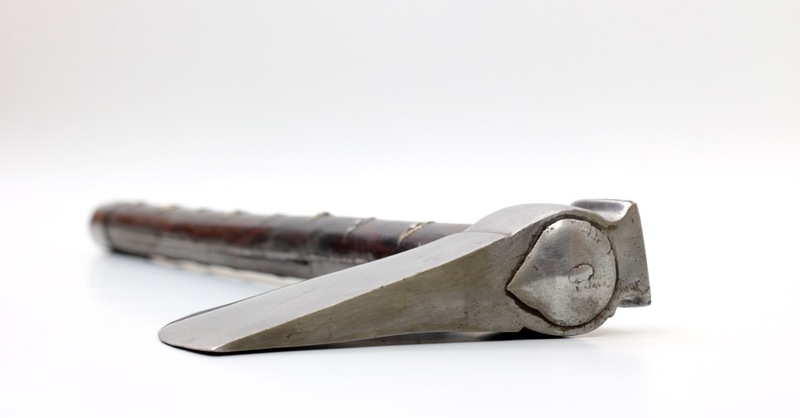 The top is secured by a plate peened on top to prevent the head sliding off the shaft. There is some nice attention to detail in the way the head was formed, with ridges and sunken sections. 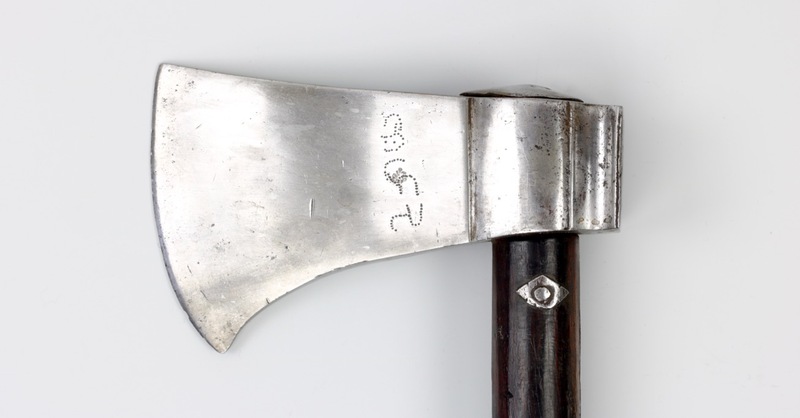 Bikanēr arms are known for such details on otherwise unadorned, practical weapons. The dark wooden shaft is reinforced with a strip of steel all the way from the head to the bottom. 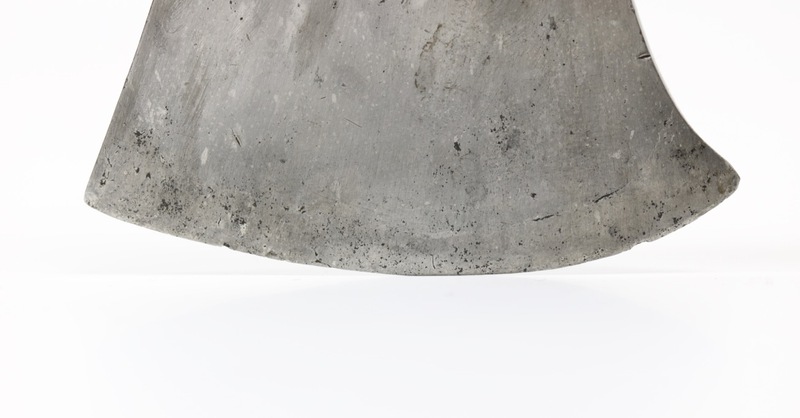 The two halves of the shaft are firmly secured to the reinforcing plate by 9 rivets with lozenge shaped washers on either side. The washers are or iron and brass, alternating materials each pair. One washer missing. Apart from securing the shaft, this construction also provides extra grip. 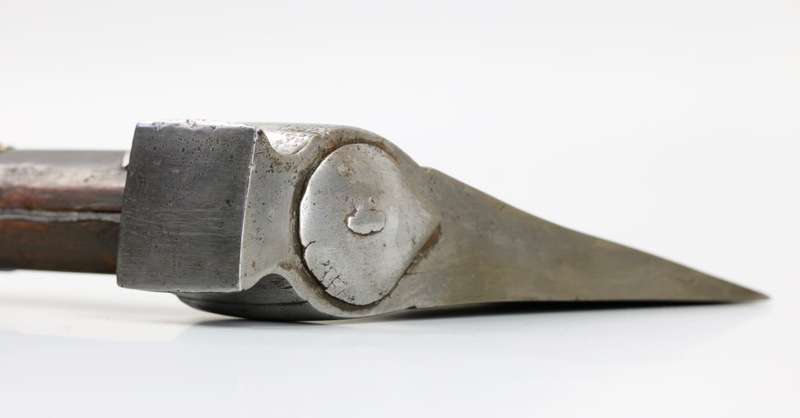 At the end the handle has an iron ferrule with domed cap and a short spike. 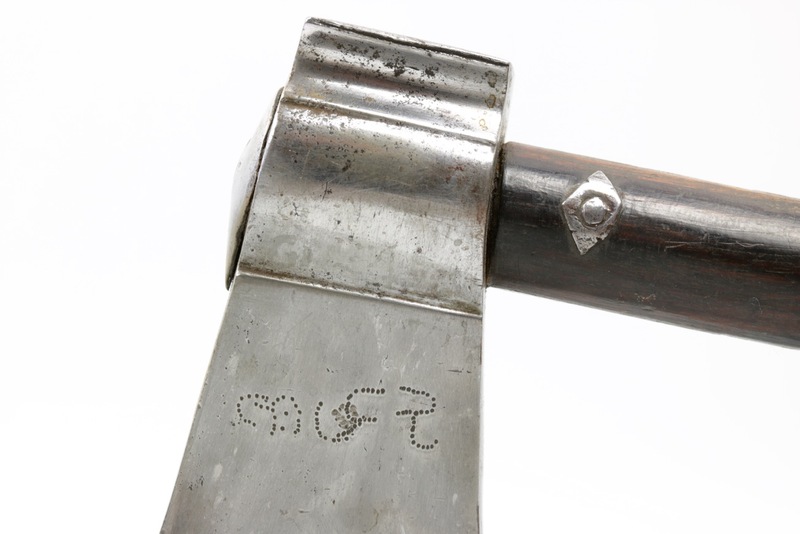 The axe bears two markings in the typical punch dot markings used in the Bikanēr armory. 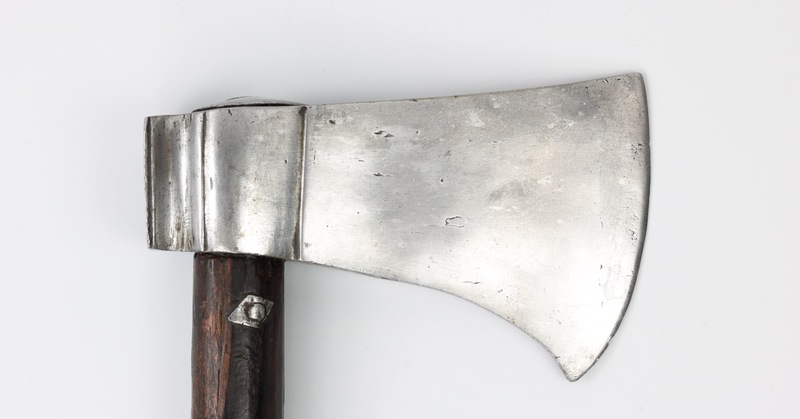 A nice example of a practical battle axe that came out of the Bikanēr armory.